Traffic jams. Trampled flowers. "Disneyland size crowds." 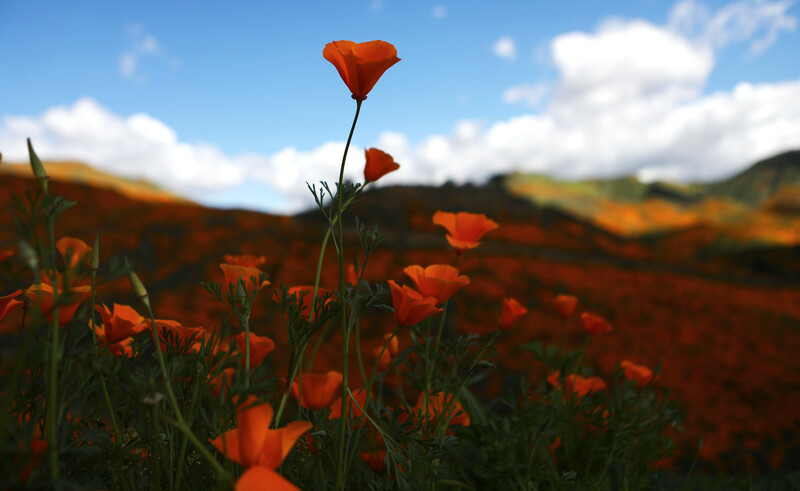 The recent wildflower "super blooms" in Southern California — and the legions of selfie-hungry Instagrammers they've attracted — have caused the kind of stir not usually associated with botanical events. Yes, the term “super bloom” is most commonly used to refer to the spectacular explosions of native wildflowers that spring up in desert areas like the Mojave Desert. 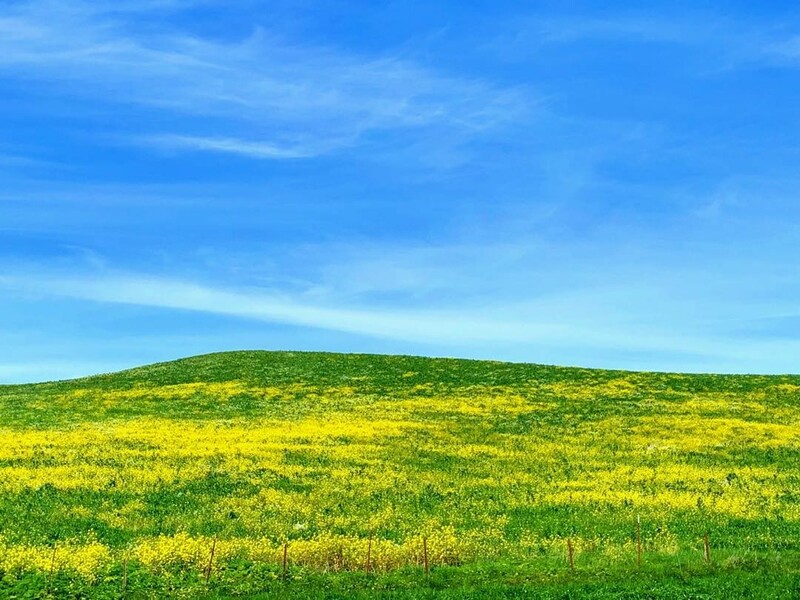 But according to Modern Hiker, the phrase is actually a recent invention, made up in the last few years to mean “a bunch of flowers.” So why not thumb your nose at our SoCal cousins and their traffic jams by visiting one of these colorfully floral Bay Area spots below — to catch a sort-of-super bloom of your own? 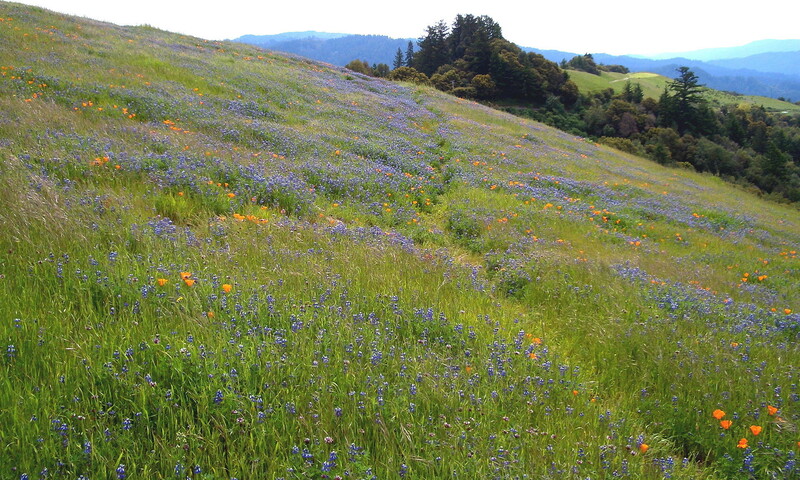 Bear in mind that according to Visit California's 2019 Super Bloom guide, the Bay Area’s peak wildflower season is a little later than Southern California’s (late April to mid-June). So, several of these spots below won’t actually be blooming yet, and when they do, the saturation can really vary from year to year. 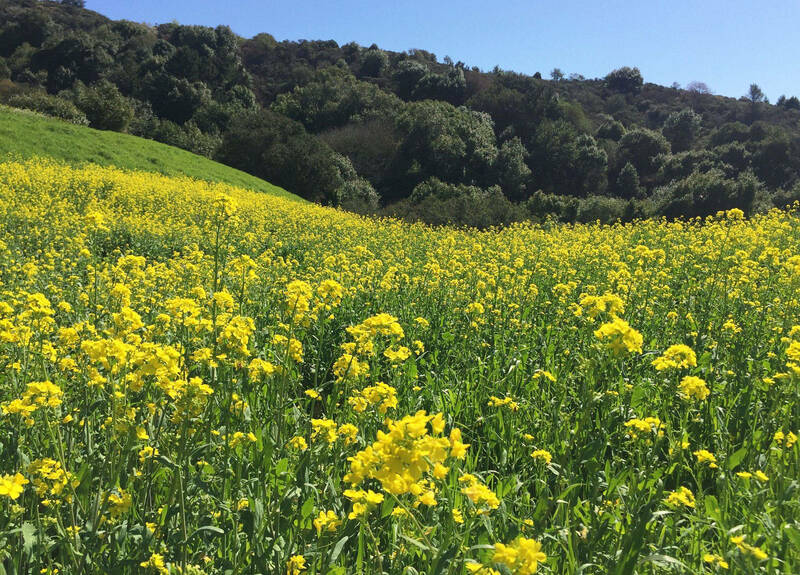 What's more, a lot of the Bay Area's blooming hillsides — as shown in the photos submitted by readers below — are actually due to invasive species like wild mustard, not native wildflowers. Vibrant (and Instagrammable) riots of color they may be, but the proliferation of these flowering plants is actually one of the reasons the Bay doesn't get true "super blooms" of native wildflowers. As if you needed more excuses to visit Point Reyes National Seashore, in springtime several of its trails are exploding with color. The 1.75-mile Chimney Rock trail boasts poppies, owl’s clover, tidy tips, checkerbloom, paintbrush, Douglas iris and footsteps-of-spring, plus incredible oceans views. A short drive away, a visit to Abotts Lagoon (at the right time of year) also offers a seasonal blanket of golden poppies. Yes, the East Bay is a veritable goldmine of springtime blooms. 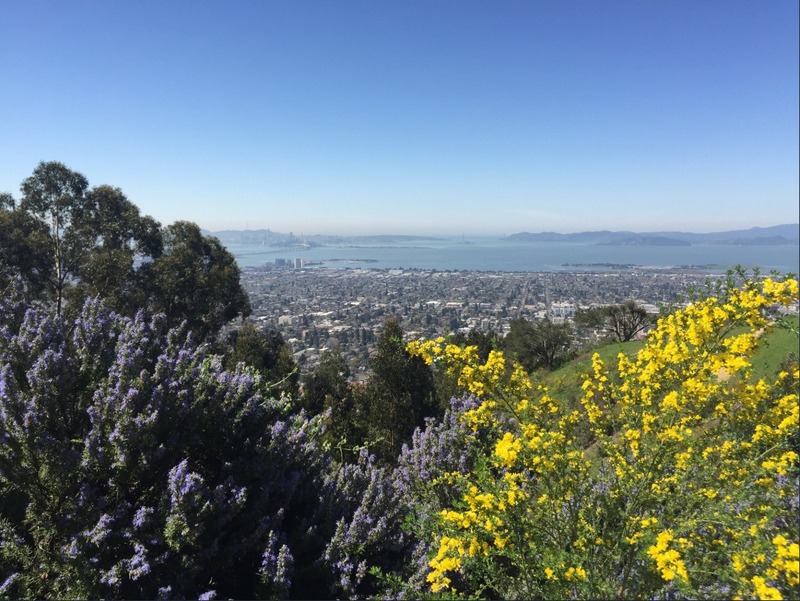 But on a clear day the Berkeley Hills also present the added bonus of stunning vistas across the Bay, as well as those wildflower carpets. Check out the East Bay Regional Park District's handy guide to favored spots for inspiration. At 938 feet, Mount Davidson is the highest point in San Francisco. 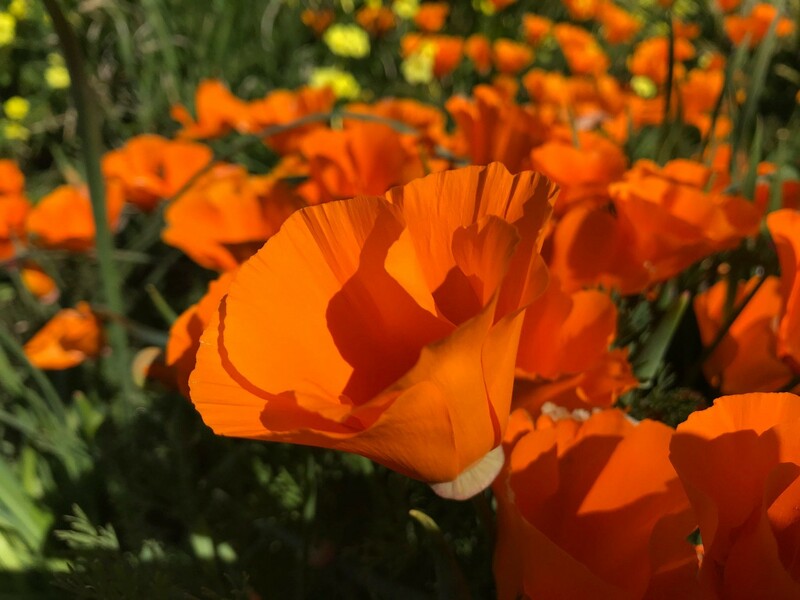 Most Bay Area residents know it best for the iconic 103-foot concrete cross at its summit, but in springtime the grassland on its east side plays home to a range of native wildflowers blooms, including California poppy, blue-eyed grass, hog fennel, checkerbloom and mule’s ears. Did we miss any beautiful blooming spots in the Bay Area? Tweet @kqednews — we'd love to feature your shots.